Susan Raber Bray, born in New York and living in Vermont since the early 70’s, works in several media, including clay, pastel, oils and fiber. After earning her BA and continuing her studies in the U.S. and Canada, Susan entered a two-year apprenticeship with Mirko Orlandini, a master Italian ceramicist living in Brussels, Belgium. As a visiting artist, sponsored by the Vermont Council on the Arts since 1989, Susan has been teaching in numerous public schools. 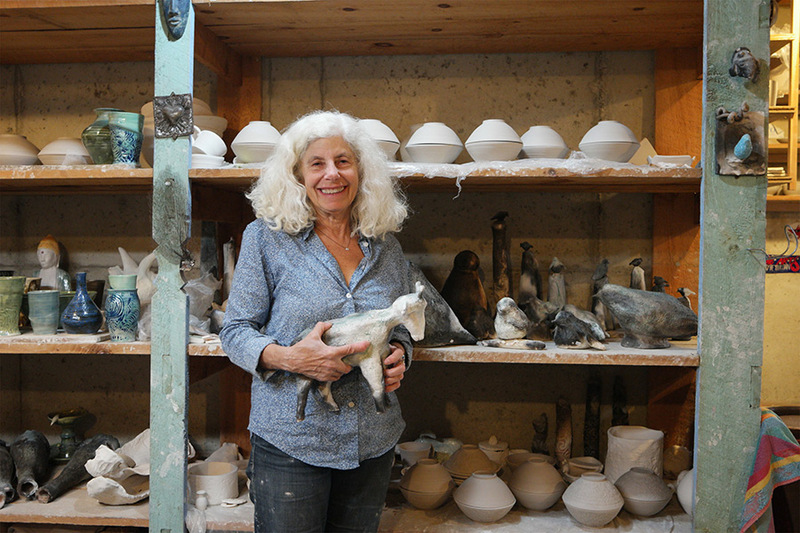 She has also taught at the Rhode Island School of Design, University of Vermont, Champlain College, the Community College of Vermont, and at her studio, Springhouse Pottery, in Charlotte, Vermont.